Captains Grant..Delawares mobile home community with no ground rent! For anyone looking for a beautiful piece of property in a serene neighborhood to call home I personally recommend Millsboro Delaware ,Captains Grant Home community in Millsboro . It is one of the rare mobile home communities with no ground rent. Here you get the extraordinary chance to live a good life and enjoy the coastal Delaware kind of lifestyle. For all those who are lovers of activities that revolve around water from boating to fishing. You wont miss out on your favorite including local beach shopping, dinning and loads of fun. All the homes in the area are built to last and suit the lifestyle and personality of the owners. With spacious yard and quiet serene environment, its only natural to want a share of some property in this Neighborhood. Most of the homes are new and range between 3 to four bedrooms and an average of two bathrooms. These beauties epitomize the perfect home. They are detailed in the most simple way and size of land is appropriately 0.34acre(s) per plot which is gives room for a spacious from and back yard. The homes are not too closely spaced, there for in terms of proxemics it gives you enough personal space and room to hold yard parties suitable for outdoor Bar-B-Que without having to worry about disrupting the neighbors peace. 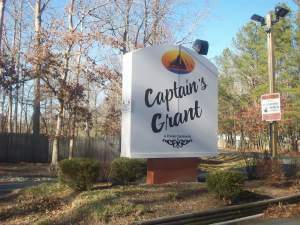 The Captain Grant community provides all the necessary amenities right from finger-licking restaurants, to boating and fishing areas to keep its inhabiters happy. Not to mention its close proximity to golf beaches and ample shopping areas.There is absolutely no questions asked about whether or not its a nice place to live.the region practicly markets itself-leave alone the beautiful houses designed to cater exactly for the need of the owner or buyer, whether its a big family in need of a large dinning and family room with a spacious floor plan , or a new family looking for just the right amount of space, in captain Grant Millsboro you may find yourself being spoiled for choice on just which piece of property you wanna settle in; but the best part is there are absolutely no regrets, for those who have stayed and settled in the area simply love it! The homes in the region are very affordable and not in the extraordinary price range. Making it possible for all to be able to live that American dream of being able to own a house and a piece of property that you can call home.